NorthStarr Media Group’s Role: Research and Concept. 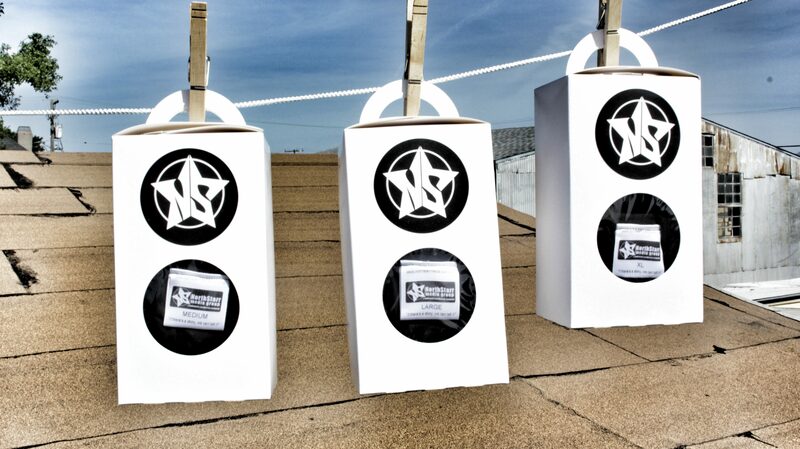 NorthStarr’s Notes: We are a company that always strives to display creativity whenever possible. Even though we are a video production company, it’s our aim to have the same set of standards for the apparel side of the business that we have for our traditional productions. NorthStarr Media Group tries to consistently reach the goal of “three C’s”. Clean, Creative, and Classy. For in person transactions, the idea behind the packaging is to display the product in a compact way, while pushing the brand and making it easy for customers to carry their purchases. The growing pay for your bag business model presented a marketing opportunity for us. We know that there are stores that charge for bags thus, we implemented a handle so that bags aren’t needed. The outside of the box has a 2 .5 x 2 .5 size logo on it and a window that shows our tank’s tag with the following information; logo, company name, blog address, and slogan. One scenario that warranted this decision is the possibility of people on their way to the car and/or on public transportation with our box in tow. The packing becomes a walking billboard. We have received positive feedback about our logo in the past thus we opted to make it highly visible. This design provides a possibility for people to ask “what’s in the box?” and/or “where did you get it from?” These type of branding opportunities aren’t possible if the shirt is merely folded and placed in a bag. This packaging decision positions NorthStarr Media Group to increase sales on the newly implemented apparel side of the business as well as raising brand visibility. NorthStarr’s Classic Tank are currently available in the Starr Store. If you have any question email us at info@northstarrmedia.com.